Is your startup company using internet technology and game changing business models to accelerate the world’s transition to a sustainable energy supply? 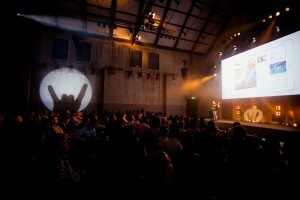 Join Rockstart’s Smart Energy Accelerator program! Is your startup company using internet technology and game changing business models to accelerate the world’s transition to a sustainable energy supply ? Empowering your local buildings, neighborhoods, or industrial sites to become energy independent through microgrid autonomy ? Or collecting data from smart meters and IoT devices to create energy services and improve efficiency & security ? Join our Smart Energy Accelerator program where we help you build, validate and scale your business and find the best international product/market fit. We help you better understand product design, market fit and business models by enabling you to directly work with relevant suppliers, users, professionals and other stakeholders in energy. The Smart Energy program is led by Freerk Bisschop, a seasoned venture developer in sustainable energy and clean tech, and will incorporate an extensive network of over 75 smart energy mentors, investors and energy partners. The 10 participating startups will spend 150-days in an intensive startup accelerator program located in Amsterdam, the Netherlands.